Each day we have some specific tasks to accomplish. A successful human being plans everything in advance and stays on top of everything in his/her life. Sometimes some of the things that must be done are forgotten in the midst of events. Sometime they are just totally skipped out of mind. It’s not anyone’s fault if they can’t remember an assignment that needs to be turned in or an important class or an interview. However these things could drastically affect a person’s life. Personal or professional, whatever the plan may be it must be on paper so that there is always proof and guideline for what needs to be done. Most people don’t understand the importance of planning and do everything at the last moment. This is when things get messy and unorganized. 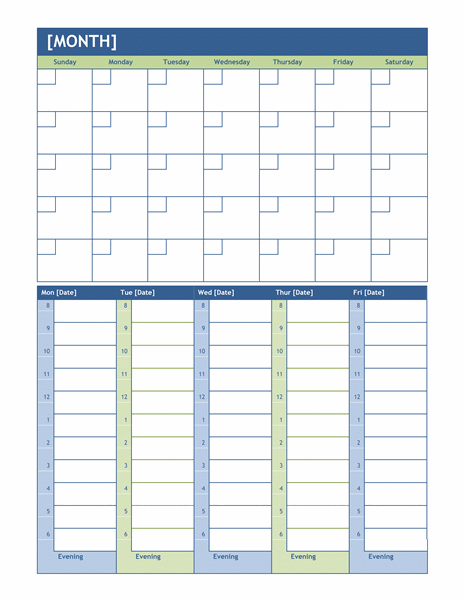 Being organized is a trait highly rewarded in both professional life and personal relationships. It could help a person make informed decisions about how he may precede toward his/her destination and what would be the outcome. Proper planning enables a person to see his path in the best possible light. It can keep a person on his/her right track and whenever a person is falling off the track or is missing out on something, written down plan can make him/her realize their mistakes. 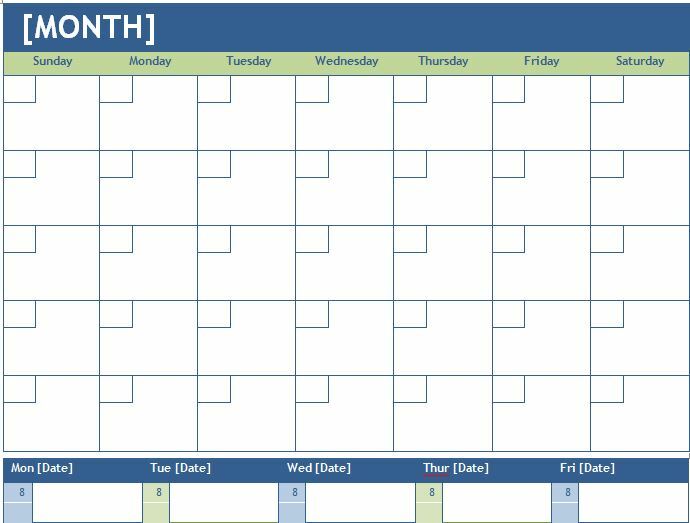 Our monthly and weekly planning calendar has a very systematic stance to enable it for office use as well as personal use. 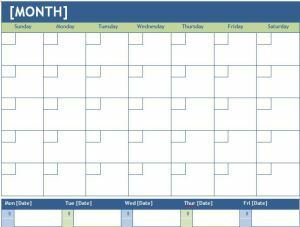 Download this monthly and weekly planning calendar template now to facilitate your job in an organized way. 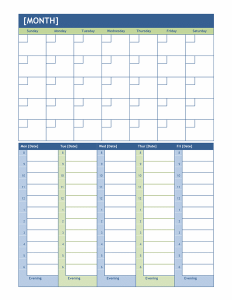 A couple of snapshots of this calendar template along with download options are given below.